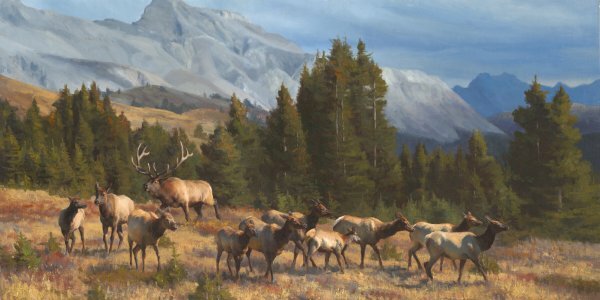 Kyle Sims paints the natural world he knows so well. During the mating season, bull elks fight to fend off other males intruding on their herd. Perhaps in this secluded meadow, with spectacular scenery surrounding it, the herd will find protection as they stop to forage whatever food may be found in preparing for the harsh season to come.